Is it really possible for a beginner to start a blog and make money out of it? Can you make a living out of blogging or is it just another myth? The answer to both questions is ‘Yes’. Blogging for money is not a theoretical concept but it’s a reality. Anyone with some basic knowledge of blogging, SEO and a general idea on how the Internet works can start a blogging business and make money. The blog you are reading now is a real-life example. The purpose of this guide is to help you understand the steps you need to take to make money with a blog by avoiding mistakes or losing valuable time on tasks that won’t contribute to your main goal. It is aimed for beginners because I remember when I started out (in 2002), I found it very difficult to understand how blogging can help you make money. It took me a number of years to realize the whole picture and find out what I was doing wrong and how to turn things around. Hopefully this comprehensive step-by step guide will put you in the right direction from the very beginning, and give you a solid plan to follow that will generate results in the fastest possible way. Before getting into the details, let me clarify something from now. it’s not an easy job, it’s a tricky and time consuming process that requires a LOT of effort and hard work but it’s also one of the best and most rewarding jobs in the World. The reward from building a successful blogging business is not only the money but most importantly is the feeling of achievement and the satisfaction of creating a business without relying on anyone else but your own talent and strengths. Have you ever wondered why there are so many articles on “how to make money with a blog”? If some people know the magic formula, why do they share it with the World and not keep it for themselves and generate more money? The answer is simple. It’s the dream of every blogger to reach to a point where they are making money online and then share this excitement with the rest of the World. Of course, as we will see below, it’s another way to make money through affiliate marketing or by selling your own products, capitalizing on your success. Let’s rewind and take it from the beginning. How do most bloggers make money online and how can you do the same? Start making money by selling ads, your own products / services or through affiliate marketing. Sounds like a simple process! Actually, some of the steps are pretty straightforward but others are tricky and you will need to be equipped with the proper knowledge, the right tools and a lot of patience. Pro Hint: Before reading the steps below, open a new word document (or the tool you use for note taking), and start taking notes. For each step, you will have to do some further reading and creating a checklist is the best way to go. This is perhaps the easiest step. It’s so easy these days to register a domain name and setup a website, all you need is a bit of help and pointers to the right direction. I won’t go into all the details on how to setup a blog, but the good news is that our complete guide to WordPress blogging, has everything you need to know. It’s a comprehensive guide written for beginners to blogging and for sure it will help you save a lot of time looking for this information online and from a lot of stress. #1 – Keep your focus on your main goal – make money online. Your goal is to reach a point where you will start making money from your blog, you should not forget that. I’m mentioning this again because from experience, a common mistake beginners make is spending too much time and effort in designing the ‘perfect website’, forgetting that at the early stages (when there is no traffic coming in), nobody cares about your website’s design, and that includes Google. I’m not saying that website design is not important, it is, but not at the early stages. Your primary goal at this step is to have a website running and start creating content that will get you traffic. There is so much work involved in getting traffic (and potential customers), and you should devote your energy correctly from the beginning. As you will read in the WordPress Guide, there is a big difference between hosting your website on a free platform like medium.com and having your own domain and your own self-hosted website. Make the right decision from the beginning and choose the right platform. By far, a self-hosted WordPress website is your best choice. If you are starting out now, try to keep everything as simple as possible. Don’t overcomplicate things because you will get lost in the process. You have a lot to learn and as you go along you will change your mind about many things so safe your time and energy for the more complicated tasks. What is a high quality website in the eyes of Google. So, you have a website up and running, that’s great! Now it’s time to get to one of the most difficult and challenging tasks of blogging, which is no other than creating the actual content for your blog. Have this in mind: A blog with no content is nothing, a blog with mediocre content is just another blog in the millions of already published blogs, a blog with great content is a money making business. Having said that, it is important to understand from the beginning the importance of content for your blog’s success. Great (good, superb or fantastic – you choose) content, will get you traffic (we will see below how), credibility and make you money (in different ways). So, what is great content? Great blog content is not necessarily text, it can be images, videos, infographics or even audio. BUT, for the purpose of achieving high rankings in Google (and other search engines), your content should be primarily text. As I mentioned above, at the beginning keep it simple. Later on, for best results, you can combine text with other forms to make your content more interesting. Don’t worry if the above list doesn’t make a lot of sense for now, as you become more experienced, you will understand it better. Let’s see how you can practically create good content for your website. Choose a topic that you enjoy reading / researching / writing – When you start writing content for your blog, you should be in position to provide content that meets the criteria of good content (as explained above). If you are not passionate about the subject, this process will be very difficult and you will give up before you even begin. A money making blog needs a lot of content and you need to come up with a lot of ideas and topics to cover on a weekly basis (if not daily), so have this in mind when choosing your niche. Choose a topic with a decent audience – It’s not enough to be passionate about a topic, others should be too. Remember that in order to make money from your blog, you will need people to buy your products or advertizers to pay money for your ad space. If your selected topic does not have a decent audience, none of the above will happen. The easiest to do a preliminary search as to the potential of your niche, is to open Google and search for phrases (keywords), that come in mind. Look for the number of results and type of websites that appear in the first pages of Google. Don’t go too broad, make it specific – While you do need a decent audience for your chosen topic, don’t good too broad because chances are that there are already thousands of websites about the same subject. Popular topics have a bigger audience but the competition is also big. If you are starting out now as a solo blogger, it would be easier to compete with other bloggers rather than online businesses that have teams of writers and SEO’s behind them. Let me give you an example to make this easier to understand. Let’s say that your passionate about ‘fitness’ and ‘healthy living’. If you do a search on Google for ‘weight loss’ or ‘dieting’, you will get thousands of results, many of them from online magazines or websites that have been established for years, loaded with thousands of content pages. It’s impossible for a new website to compete with these and get Google traffic for such broad terms. What you can do instead is to narrow down your topic and go after a specific niche that it’s still related to your passion but with less competition. An example would be “healthy living advice for kids”. It’s a topic with a lot of interest, mainly from parents who want to learn how to provide a healthy lifestyle for their kids, and they also hold the money to buy a product (maybe an ebook) to help them do so. Long Tail Keywords, the complete guide to generating tons of targeted traffic. 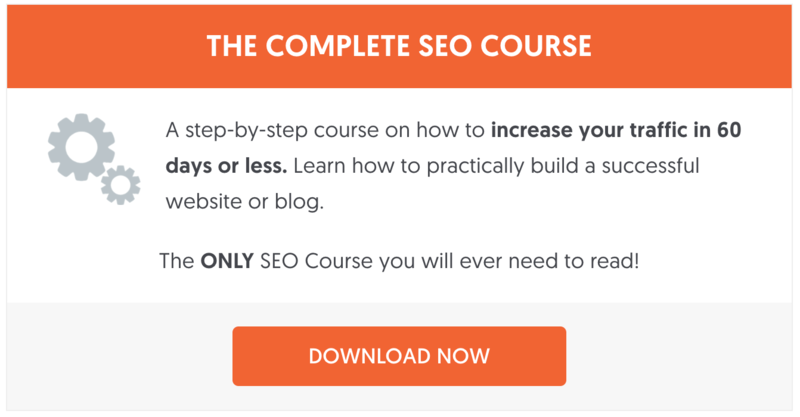 Pro Hint: Lesson 5 of the Complete SEO Course, includes step-by-step examples on how to do keyword research. Let’s recap the process so far. Your first step is to register your own domain and setup your website. Your second step is to decide the topics to cover in your blog and master the keyword research process. The next step, is to start building organic traffic to your blog, and this is what I will discuss in this section. Noticed that I used the term organic traffic and not just traffic in general. Organic traffic is generated from search engines (mostly Google). What makes organic traffic more valuable than any other source of traffic, is the ‘user intent’. A user that types a query in Google’s search box, has a clear intent. He or she is either looking for an answer to a question, wants to learn something, to find information or to buy a product. Their intent is expressed through the actual keywords they use in the search query. For example, a user searching for “how to do an seo audit of my website”, it is clear that he is looking for a step by step guide on how to perform an seo audit. It is very specific and in order to be eligible to rank for that term (or related), you need to provide Google with a thorough guide on how to perform a manual audit. When you do so and your pages achieve a high ranking in Google, you will start getting targeted organic traffic to your website. Targeted organic traffic is the most valuable source of traffic for your blog because it’s traffic that converts. We will cover each of these in more details in the last section of the post, but for now let’s see how you can get more search engine traffic for your blog. 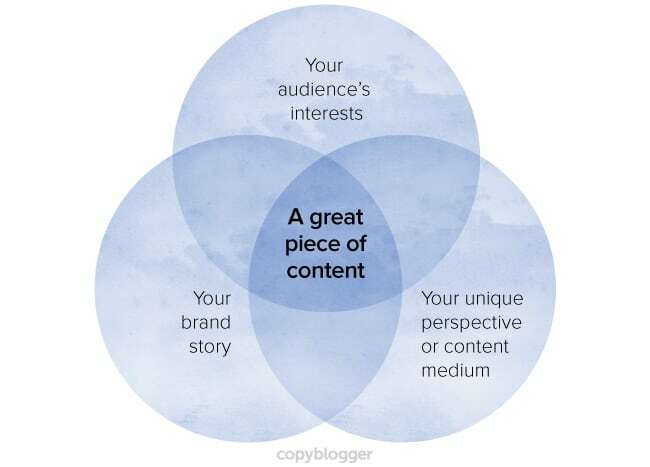 You need great content – Although I have covered this in step 2 above, I’m mentioning this again because it is extremely important. If your content is not up-to standards, then whatever you will read below, will not work. You need to get your technical SEO correct – Technical SEO has to do with your blog setup and how well this is optimized for search engines. Your blogging platform (especially if it’s WordPress), is by default SEO friendly, but still there are a number of things to check and change to make it even better. Are all very important in the process. You need to get your On-Page SEO correct – On-page SEO goes one step above technical SEO and has to do with how you can make your content and webpages more visible to search engines. How to rank content in Google’s featured Snippets. You need to work on your Off-Page SEO – All the actions described so far for increasing your organic traffic, have to do with items you can change / optimize on your website. Another very important aspect for getting more traffic from search engines is off-page SEO. Off-Page SEO is the process of promoting your website on the Web for the purpose of increasing awareness for your content, products or services. 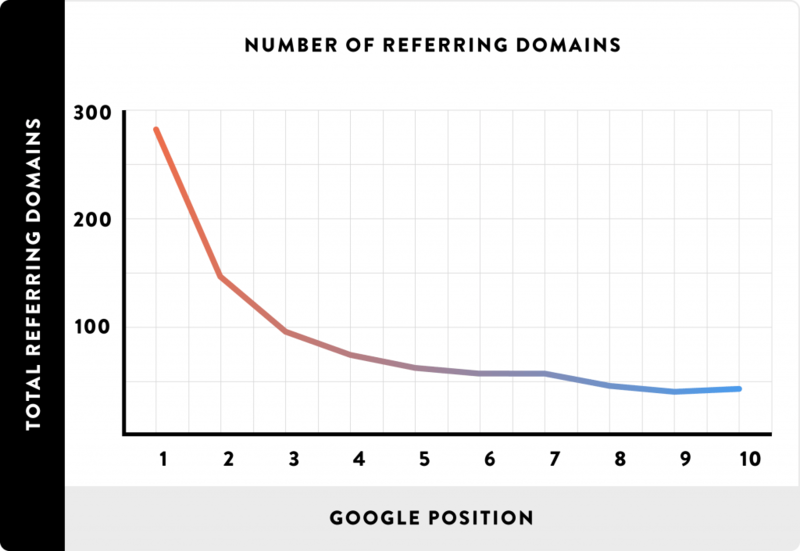 Search engines are more likely to run higher websites that have references (links) from other websites. You will establish yourself as an expert in your niche. Good On-Page SEO can get you to the first pages of Google while good Off-Page SEO, can get you to the top positions. The most popular and effective off-page SEO method is link building. What is link building and why it is very important? Search engine ranking algorithms are always looking for ways to understand the quality of a website. The main intent of a search engine, and in particular Google, is to keep their user’s happy by presenting them with websites that have good content, are easy to navigate and in general are considered to be of high quality. Besides the on-page SEO optimizations, another way to convince them that your website falls to this category, is to have external links from other websites pointing to your website’s pages. Other things being equal, the website with most incoming links, will rank higher in the SERPS. Link building is a complicated topic and one that beginners to blogging find it difficult to understand. I know this from experience and from feedback I get from my readers. It’s not a matter of quantity but it’s mostly a matter of quality. This means that there is no magic number on how many links you need to get to achieve high rankings but from where these links are coming. Links from related to your topic websites that have high Google trust are more valuable than links from article directories or other low quality websites. If you engage into black hat link building practices (i.e. buying links, exchanging links with others), you will get into trouble by Google. Google’s algorithms will penalize your website for trying to manipulate their algorithms and as a result you will lose all your rankings. How to increase your blog’s traffic through link building? Link to other websites from your content and contact them to let them know. If they find your website useful they may decide to return the favor. Here is an example of an email I sent to editors of big websites, introducing my nutrition blog. How to approach Link building for new websites (Chapter 12, of the Complete SEO Guide). Once you have a blog with great content and the traffic starts to flow in, your next step is to build a community around your brand. A common mistake that beginners make is to skip this step and go directly to the money making part but this is not the most efficient way. Before making any sales (conversions), you first need to gain user’s trust and this is achieved through community building. Notice that I used the term ‘brand’ and not just blog and this is done on purpose. At this stage, you need to stop thinking about your blog as a hobby but you need to change your mindset and approach it like you would approach a ‘real’ business. We all know that branding is a very important aspect for the success of any business and your blog is not an exception to this rule. There are many things you can do related to branding (like having a distinct logo, unique slogan, etc. ), and community building is one of them. What is community building for a blog? In simple terms, what you are trying to do is to create a community of people that will follow your blog, interact with your content and buy your products or services. Email marketing – People that subscribe to your email list (aka newsletter), are a valuable asset to your blog. You can use your email list to inform your community when new content is available on your blog, to ask for their feedback and to sell them products or services. This will not happen from day one, you first need to gain their trust by providing value through your emails but at the end of the day it’s one of the most efficient methods to create a community around your blog. In my case, 20% of the monthly sales of my ebook, are generated through my email list. Social Media networking – Some people don’t like to receive emails, they prefer to use social networks to read their news, communicate with their friends and generally spend a lot of their time online. You need to ensure that you have a social presence in the same channels as your potential followers. There are many social media networks available that you can use but since you are at the beginning of setting up and establishing your blog’s brand, it’s better to concentrate on those channels that are proven to be more effective than others (when it comes to building followers), and these are Facebook and Twitter. Start by building your fan base on Facebook and also spend 10-15 minutes per day on Twitter. Remember that your goal is to connect with people that can become potential followers and customers of your blog and not just with anyone that has a social presence. Do some profiling and choose your target audience wisely. Web push notifications – When you first visited my blog, did you notice a small popup asking you if you want to receive notifications from my blog? This is another way to connect with your community. People who register for push notifications are notified every time I publish a new post and whenever I want to send them a new message. Before activating this service through onesignal (it’s free), I was very skeptical about it and was not sure if this is something that will work but web push notifications, turns out to be a great tool in getting people to re-visit your blog. Replying to comments – Last but not least, you should not forget about blog commenting. I’m not referring to comments you can write on other blogs but to reply to comments other people post on your blog. If someone writes a comment to one of your articles, they expect to get a reply back and ignoring them is not good when trying to build a community. Look at some of my older posts and you will notice that they have tens of comments. What I do on a daily basis is try to respond to each of the comments and help my readers in any way I can. I don’t approve all comments; I only publish comments that make sense (not spam or self promoting) and this encourages more people to post their comments. Did you notice how many things you need to do to get to the money making part? Although this blog post is about making money from your blog, almost ¾ of the content is related with activities that come before that and this is how blogging for money works in real life. You don’t have a community of loyal followers. Assuming that you have successfully completed the above tasks, let’s see how you can make money online and reward yourself for the hard work. I’m a great adsense fun, I admit it! I’ve been an adsense publisher for more than 10 years now and although there are alternatives, Google Adsense it’s still one of the best ways to make money online. I’m using Adsense on two of my blogs (caloriesecrets and manageyourlifenow) and so far, I’ve earned a nice 5 figure amount. I’m not using Adsense on this blog because as you will read below, there are cases where Adsense is not the best way to monetize your blog. Adsense is very easy to use and reliable. All you need is a blog with great content and lot’s of traffic. You add adsense to your blog and when people click on one of your ads you get the 70% of the money paid by the advertiser (the remaining 30% goes to Google for proving this service). It’s reliable because you know that Google will pay you on time and will do anything they can to protect the system from fraud and spam. You can choose what type of ads to show, how often to show them, how the ads will look and many other things. Number of available advertisers for your niche. Obviously, the more traffic you have, the more money you can make from adsense. It’s as simple as that. To make money from adsense, you need people to click on your ads and the position of your ads in the page is a very important factor. Although the best way is to test different ad placements and find out which placements work better for you, when you put adsense in your main content (as opposed to the sidebar and footer), you can expect higher click through rates (CTR) and this means more earnings. Ads that are above the fold also perform better. 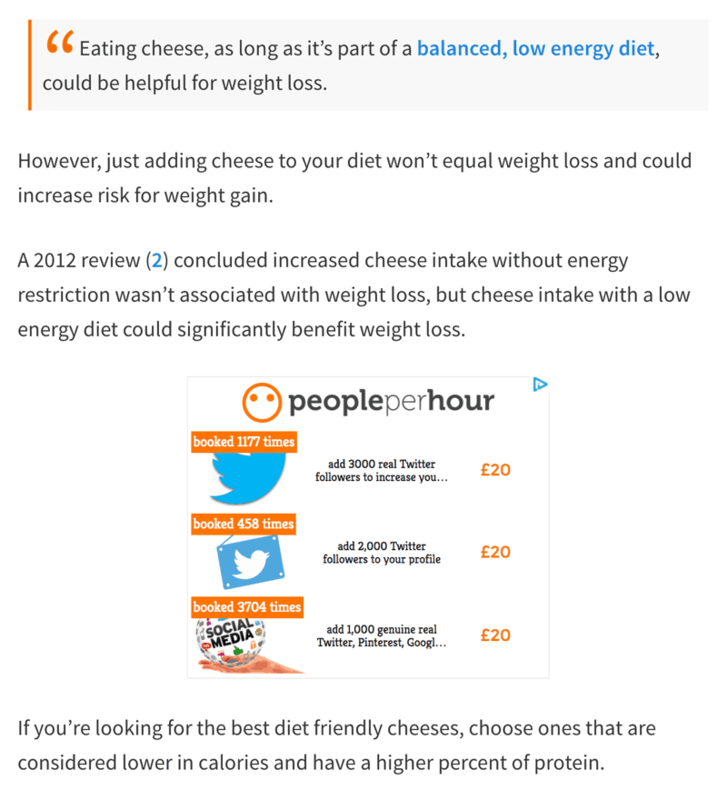 Here is an example of adsense ads within the content of a blog post. Adsense is a keyword based auction type system. When a user is searching on Google and then visits a website that has adsense ads, it will try and show to the user ads that are relevant to the search query. If there is a lot of competition i.e. many related ads, then this increases the money the advertiser will pay and the money you will earn. Can you advertise your blog or products through adsense? Yes, you can through Google Adwords. AdWords is the system used by advertizers to run ads that are displayed on Google search and Adsense websites. Have in mind though that you cannot use Adwords and drive PPC traffic to a landing page that has Adsense on it. In the past, this was a method that made some people a lot of money but not anymore. Hint: We are a Google Adwords Certified Partner. Learn more about our PPC Management packages. When is best TO use Adsense? Use adsense on websites that cover a lot of topics (news portals, magazines, newspapers, forums etc). Use adsense on websites in the healthy living niche (fitness blogs, weight loss, etc). Use adsense on websites that have lots of page views. When is best NOT to use Adsense? Don’t use adsense when you can make and sale your own products or services. Don’t use adsense when you can make money through affiliate marketing. I mentioned above that I don’t use adsense on this blog. The reason is simple. The purpose of this blog is not to make money from advertising but it’s the channel I use to promote my ebooks and Digital marketing services. Think about it this way: When you sell ad space on your blog what happens? You only get a portion of the money since 30% goes to the middle man (advertising company) and the advertiser is making a profit from your content and hard work. 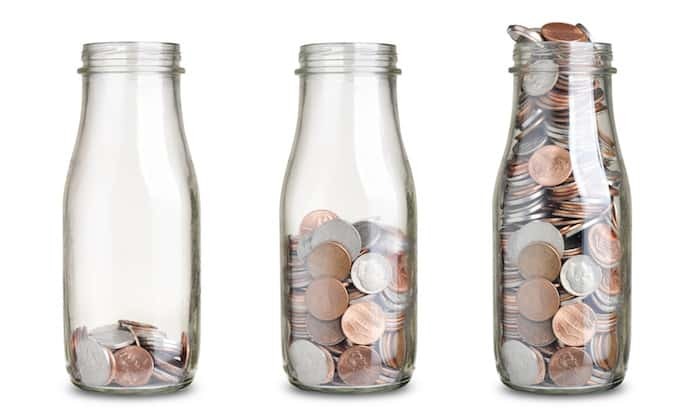 To minimize the money loss, you should consider creating and selling your own products or services. Of course, this is not as easy as it sounds. It requires a lot of effort and hard work to create products that other people will be willing to pay money for it BUT it’s the best way to build a long lasting online business. Having your own products will maximize your profit and you know that every effort you make to get more traffic will make you more sales. The easiest type of products to create and sell online through your blog are ebooks and online courses. What type of product to create? How much to sell it? How to test your product idea before actually making the product? To answer the first three questions, you need to do your research and find out what is already available in the market, who sells it and how much they sell it. But even if you have this data available, still the most important is to know if your idea for a product will sell, before you actually make the product, and this is what I will explain below. When I thought of creating an SEO Course and sell it through my blog, I was not sure if this is something my readers (and community), will be willing to purchase. After all, there are hundreds of SEO resources that are available for Free. I created a sales page for my ebook (that is similar to the one you see now). I added banners (call to action boxes), in my articles and sidebar to redirect traffic to that page. When someone clicked on the BUY NOW button, they were redirected to the checkout page but when they tried to complete the purchase, they got a message that the product is not yet available. I know that this is not the best user experience but it helped me answer a lot of questions and gave me the energy and power to create a 300+ pages ebook. I also knew their country of origin, device they were using and many other details. After analyzing all the information, I decided that an ebook about SEO is something that my readers want and are willing to buy. So, I stopped the test and created the actual product. It was not an easy task; it took me around 6 months to create the first version of the eBook but at the end I was very happy that I did. The actual sales numbers were even better than the test and since last year, the eBook generates a nice monthly revenue. The bottom line is this: Make your research, find an idea and test it. If the test is successful, proceed to the implementation, if not start the process again. Last but not least, another way to make money from your blog is by selling other people’s products (digital or physical) for a commission. This is generally known as affiliate marketing. Here is an overview of the process. Well, is not as easy as it sounds. You still need to find the right products to promote and you still need to test if your readers and community are willing to pay money to buy the products you will suggest. Don’t promote products or services you don’t’ personally use. You don’t want to lose your user’s trust. Only promote products that you know from personal experience that will help your readers. Google does not like websites or web pages that their sole purpose is to make money from affiliate links. Your website should provide real value to the user, without being too promotional. Don’t overdo it. It’s ok to suggest products in your blog’s content but don’t do it all the time. Good affiliate marketers don’t promote products all the time. They first provide value to their readers and then suggest products. If you are on WordPress, read this guide on how to cloak your affiliate links (the white hat way). 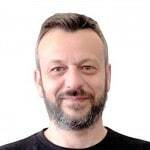 If you want to find out more about affiliate marketing, read Pat Flynn’s blog, he is one of the most successful affiliate marketers on the Internet today. Blogging for money is not a theoretical concept. Thousands of bloggers are making money through their blogs either by selling ad space, their own products/services or through affiliate marketing. They are having blogs with great content. They have managed to build communities around their blogs. They use more than one ways to make money. They have their own products but they also make money from affiliate marketing and selling ad space. They have been blogging for years and it took them a number of years to get to the point of making a living from their blogs. Everyone can use a blog to make money online. The amount of money you will make depends on the amount of work you are willing to allocate to make it happen. It’s not an easy job and it’s not something that will generate results in a few months or even years, it will take time and it needs a LOT of patience. BUT, as I mentioned above, once it happens it’s one of the best jobs in the World! Thank you, Alex, for the Guide how start Blogging. Can I share your post on Quora to refer someone to this posts? I also use your Android apps “SEO tips for Beginners”. Yes, feel free to do so and let me know the link to check it out. Thank you for sharing this awesome post. I am new in this field and this post must help to me. Thank you so much for sharing a real-life example from your experience. It’s really helpful for the Beginners like us. Glad you liked it! All the best with your blogging efforts. Thanks Alex for sharing us the great topic for make money blogging. really it’s so difficult to earn money online with blogging it requires lot of effort and more hard work. Thanks Alex for sharing such a value information, working on backlinks and SEO, its very helpful for beginners like me.